One of the most talked about topics and goals among dieters: losing weight. But should losing weight really be what you are trying to do? As someone who studies health and fitness to no end, the words “losing weight” don’t sit well with me. The reason for this is because weight loss is just a number on a scale. And the issue is, people don’t really seem to care what kind of weight they lose as long as the number on the scale goes down. Overtime, this will catch up to you. Months ago, I remember seeing a man come into the gym each and everyday trying to lose weight. He came in Monday through Saturday and did the exact same routine each day. He would grab his book, jump on the treadmill and start walking for 10 minutes, then he would put his book down and proceed to jog at a slow pace for the next hour or so. He did this every single day. Now overtime, this man started to lose some weight but for the amount of time he was spending at the gym it was nothing to go home bragging about. And although he started to lose some pounds, all the weight he was losing was muscle. He looked weak and many times sick because I know for a fact he was starving himself to lose this weight. This my friends, is not the way to go about getting in shape. When your goal is just “losing weight”, for some reason your mind shifts into a different gear and starts thinking that you must workout more, eat less, and spend hours running on the treadmill. Frankly, this isn’t your fault as there is a ton of misleading information out there that you are being constantly fed. However, now that you have stumbled upon this article, you can finally know the truth. No matter where you are, your goal should NOT be to lose weight, but should be to burn fat! Although these words are very similar, they send a completely different message to the brain about how to go about doing it. For whatever reason, when someone says the words “lose weight,” my first thought is still of all those people wasting their time doing long slow cardio and starving themselves with their diets. The difference between these two goals may seem very small, but the way you go about attaining your goals will determine whether or not you will be happy with the outcomes in both the short and long run! Your approach on how you will attain your goals will make or break the results you get. As you can see from the picture above, you want to be on the right side of things where your focus is to burn and lose fat. It doesn’t matter if you lose weight if you lose a ton of muscle and decrease your overall health in the process. The best way to go about getting in shape is by trying to burn fat and lose fat. Don’t get sucked into thinking that you must go on some crash diet or starve yourself, then train for hours a day. Doing this will only lead to bad weight loss. Instead, focus on the workouts found here at FatBurningWorkoutsHQ.com and go read this article HERE on how exactly you should eat when trying to lose and burn fat! It is time to start burning, so go now and get after it! As a former collegiate athlete, I was always looking for an edge on my competition. In order to be the best, you have to train like the best. Michael Jordan and Kobe Bryant didn’t rise to the top by doing some generic workouts a few times per week. No, they focused on workouts that would challenge them mentally and physically so they could be the best athlete in the world. They have a lean, strong, athletic build. Athletes like Usain Bolt, Kobe Bryant, Maria Sharapova, Alex Morgan, Adrian Peterson, and Jessica Ennis have this build. They are incredibly lean and strong. If you watched these individuals workout, you would notice how intense they are. The focus, drive, and determination are through the roof on every single workout. This is what it takes to be the best. Not only that, but that is what it takes to look the best! Athletes have it down: each workout they do not only gets them better at their particular sport, but it allows them to look superhuman. The athletic build is something we all want. Lean, ripped, and defined. The reason you don’t currently look like an athlete is because you do not train like an athlete, simple as that. If you want to start looking like Jessica Ennis or Adrian Peterson, you have to start training like them! This doesn’t mean training for hours on end, because not everyone can have working out and their sport as a job. What I mean is you must start training at the intensity they train at so you can allow your body to build lean muscle and burn fat. So what exercises should you focus on? Athletes train in three different areas: Speed, strength, agility and quickness. Each are vitally important to being the best athlete they can be, plus they are the workouts that will burn the most fat while adding lean, ripped muscle. The best way to increase your speed is to start working on it. This means stepping off the treadmill and elliptical, going out to a park or track and sprinting. As we have discussed in the past, sprinting is the best physique shaping workout on the planet. The benefits it brings are endless. There are definitely some more advanced ways that you can increase speed, but stick with the basics. The more you sprint, the better you will become at it and the faster you will get, especially if you focus on the next two aspects of an athletes regimen. Look at any great athlete and you will see that they have tons of strength. This is a result from the very intense weight training programs they are put through. Athletes must train for anything that is thrown at them, that is why they focus on doing tons of compound movements so they can strengthen their whole body. For example, squats, deadlifts, and cleans are very popular because of the functional strength they help develop. The more prepared you are in the weight room, the better you will be able to handle the rigors of the game. Never will you see an athlete focus on bicep curls for their workout because they know this is not what’s best for their body or strength. This can also be referred to ones ability to cut, jump, move, etc. The more agility and quickness you can develop the better. Take a look at Adrian Peterson for example. His ability to cut through defenders at the quickness he does is unreal. Sure Adrian was born with some of these abilities, but he is constantly working on improving them so he can come back quicker game after game and season after season. A few ways to do this would be focusing on plyometric work. Plyometrics helps your feet to spend less time on the ground, which translates into you being quicker. The less time you spend on the ground, the faster you can cut, jump, and move. As athletes, the game is always going to be demanding more. That is why you should change up your workout routine every 1-2 weeks. Sports will always keep your body guessing, so to prepare for this, always keep your body guessing in your workouts. Beginners can stick to a workout routine for up to 8-12 weeks at a time because they need to spend the time building up their base. But athletes have already developed a solid base over the years so they need to make sure they are constantly challenging themselves to get better both on and off the field. 7-10 full speed sprints at 40-80 yards each. Choose a distance that fits your fitness level. Rest 30-60 seconds in between sprints. This workout should take you no longer than 10-15 minutes! There you have it, an example fat burning workout plan for athletes that will take you no longer than 30 minutes a day to complete! We saw some rep challenge workouts in our previous article ‘Extreme Fat Burning Workouts,’ and because I know you enjoyed those so much, I decided to give you five more workouts just like it. A rep challenge workout can be defined as: doing an allotted number of reps as fast as possible, then when doing it again trying to beat your previous time. The goal of challenger workouts is to push you to beat your previous score each time you do the workout. Crossfit does an incredible job working this into their system, and it has proven to work very well. 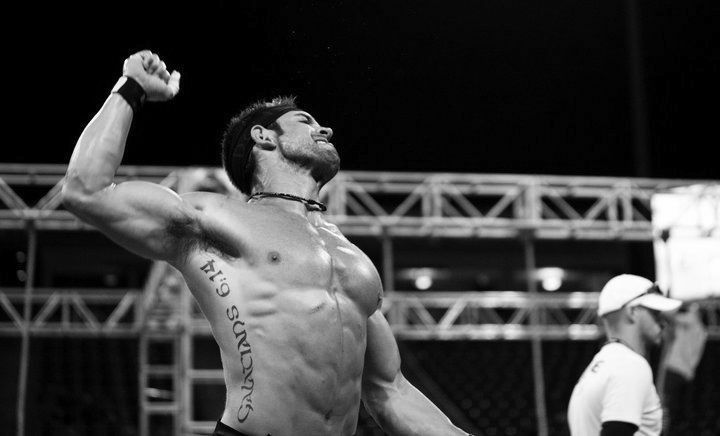 That is why some of the strongest and best athletes in the world are Crossfitters. 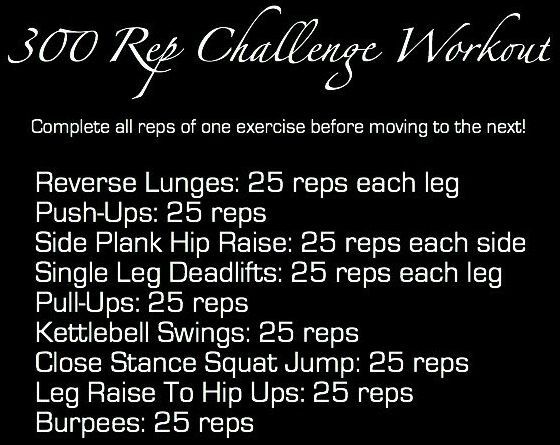 With the rep challenge workouts below, you can expect them to be intense, tiring, and well… challenging! Be sure to choose a workout that fits your own fitness level, and work on building up to doing harder and harder ones over time! Get creative with how you do this. If you want to finish the workout with 50 burpees, feel free to add that in as a bonus! For this workout, you will start and end with a 400 meter sprint. This will account of 50 reps of your workout. We saw this workout in our Fat Burning Workouts For Men article. This is a very challenging workout, so beginners should start by doing 20-25 reps of each exercise and build up to doing the full workout. Complete all 50 reps of one exercise before moving to the next. There you have it, five different rep challenge workouts that will obliterate unwanted fat all while allowing you to build tons lean muscle. If you want an even more challenging workout, be sure to check out our 1000 rep challenger in our Extreme Fat Burning Workouts section! Click HERE To View The Rep Challenge Workouts! By now you should know that here at Fat Burning Workouts HQ, we are not fans of long slow cardio. So in writing this post, Treadmill Fat Burning Workouts, I was a little hesitant because when most people think of the treadmill they think of jogging on it for hours on end. However, when utilized properly, the treadmill can be a powerful fat burning tool that you can use to your advantage. Although not my first choice of cardio equipment (the rowing machine is if you were wondering), the treadmill can be of use especially for beginners and those who can’t get outside year-round. When putting together the 4 treadmill fat burning workouts below, I kept one thing in mind: intensity! As we have discussed in previous articles, intensity is the key to burning tons of fat. As we saw in our 10-minute fat burning workout article, you can burn more fat in 10-minutes by doing high intensity workouts than you can doing a 60-minute jog on a treadmill. 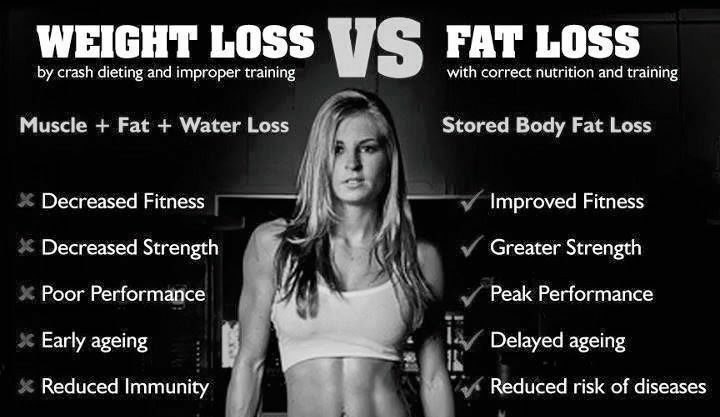 The reason for this is your body utilizes the most fat burning when it works close or near it’s anaerobic threshold. This means doing exercises such as sprints, high intensity intervals and circuits, and the workouts found here on Fat Burning Workouts HQ! Before doing any workout, you should always make sure you are fully warmed up. This means doing some dynamic stretching, a light 2-3 minute jog, and some bodyweight exercises. This can include some burpees, one or two sprints on the treadmill, or some bodyweight exercises. The reason for this is to ensure your are fully ready to go so you can jump right into your workout. Don’t be leaving the workout to run down and get water or a towel. Have that with you at the start. These workouts will require you to stay on task, so when the workout starts be focused and ready to go! We have all seen the YouTube videos of someone falling off a treadmill… Don’t let this be you. Go at a pace you are comfortable doing while still pushing yourself to get better. Remember that safety is first! Workout 1: Straight Up Sprints! For this workout, you will complete 10 full speed sprints at 30-60 seconds each depending on fitness level. After each sprint, slow down and walk or jog for 30-60 seconds and repeat. An example 5 sprints is below (I am using level 10 as an example. Use a level that meets your needs). Repeat until you have done 10 sprints! Total workout time: Around 15 minutes depending on warm-up! Move from one exercise to the next, resting only where it says to rest. Beginners should lower the numbers on the bodyweight exercises and add more rest time if needed. In all you will perform three sets of three different circuits, and a total of 9 treadmill sprints! I typically do this workout outdoors, however, when it is negative 20 degrees outside it can get kind of difficult! You must start and end with a 1-mile run. You can complete the pull-ups, push-ups, and bodyweight squats in an order or fashion. Beginners should lower the number of reps, and distance on the treadmill. 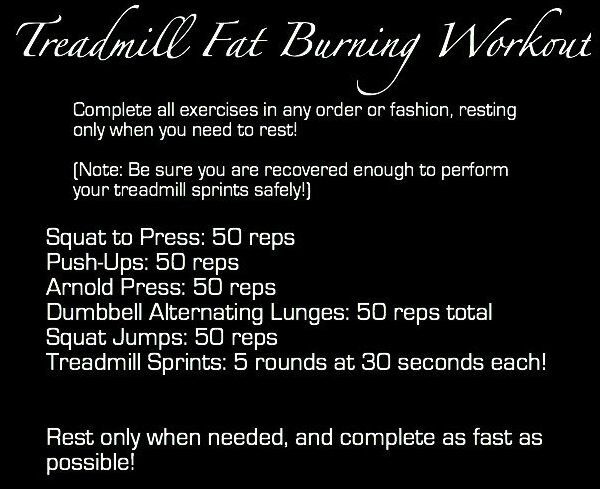 As you can see, you can create some amazing Treadmill Fat Burning Workouts simply by getting creative. Don’t fall into the trap of thinking the treadmill is only for the people wasting their time doing long slow cardio. Go out and show them what a real treadmill workout should look like, and watch as you start burning more fat than ever before!